It is always so special when dancers come back to be a part of the faculty when they are in college! 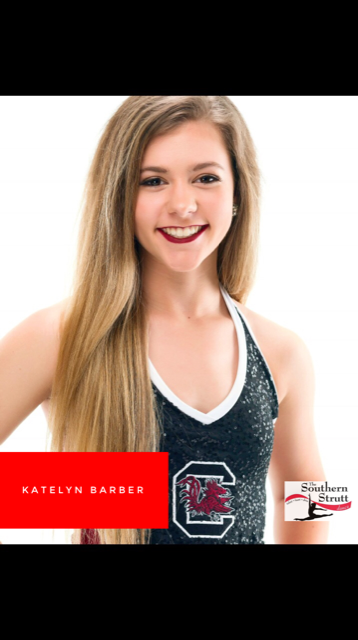 Katlyn Barber grew up dancing at Strutt, and she is now captain of the dance team at USC. Throughout my training she has had the chance to gain experience in all competition and dance team styles. Katelyn has been teaching and assisting dance classes since high school, and she can’t wait to continue working with her strutters this year! She will be working with razzle dazzle, Mini Strutt, teens, and itty bittys, and she is so excited to see all of their growth as part of the Strutt family this year.